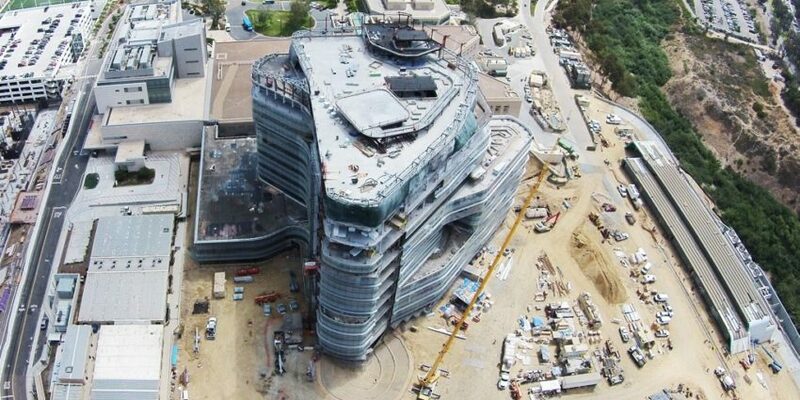 The Jacobs Medical Center project at UC San Diego (UCSD) Health was part of a $943 million advanced medical facility development. Construction of the 10-story, 509,500-square-foot, state-of-the-art hospital began in 2012 and was completed in 2016. 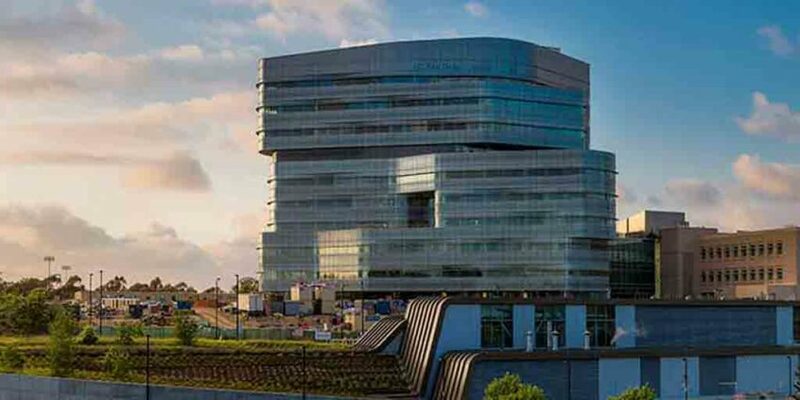 Raymond’s involvement with the Jacobs Tower Medical Center started two years prior to its construction; Raymond took a design assist role with our Project Manager and Project Superintendent included on the design team, working full time at the jobsite. Raymond Project Manager, Tom Harris, has noted that, “getting involved in the project early on proved instrumental not only in a design-assist aspect, but in the overall success of the project.” Raymond’s in-house BIM department was fully engaged in the project’s design, modeling, and shop drawings throughout the duration of the project. 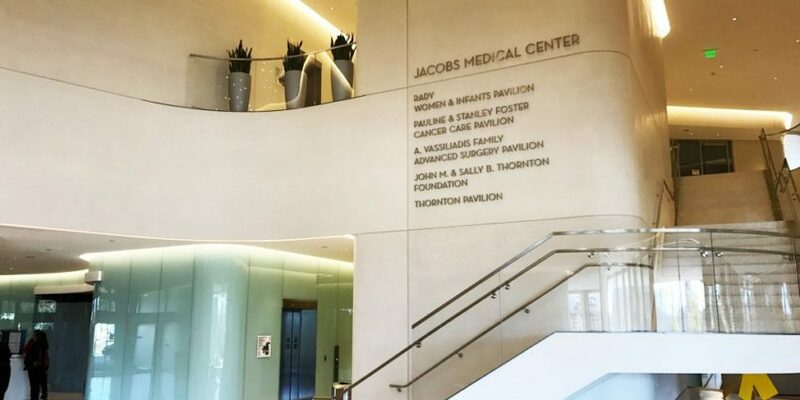 With all of the overhead MEP systems common in a hospital, constructability on the Jacobs Tower Medical Center became very important. Details were developed allowing the team to either span areas with obstructions, with large boxed headers, or offset overhead framing. 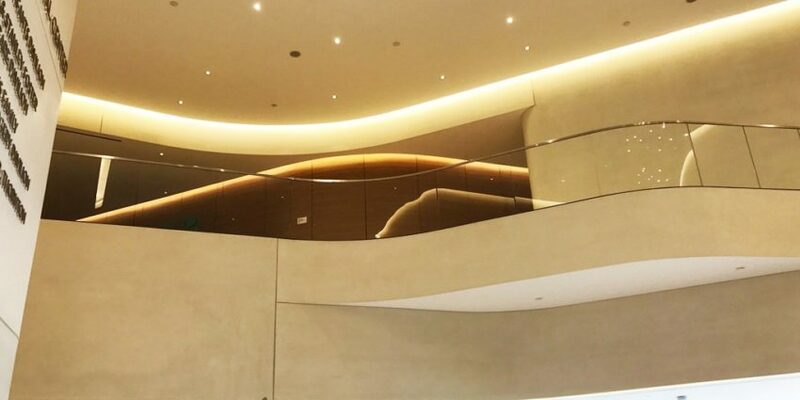 Additional challenges consisted around supporting the unique architectural features of the project alongside the structural requirements. On an OSHPD project, it is often difficult to change structural details. In this respect, Raymond worked with Engineering Consultant KPFF to create additional details with more cost efficient options. The Jacobs Tower Team was setup with a football field sized trailer that allowed the general contractor, design team, architect, structural engineer, and all subcontractors to work side by side. 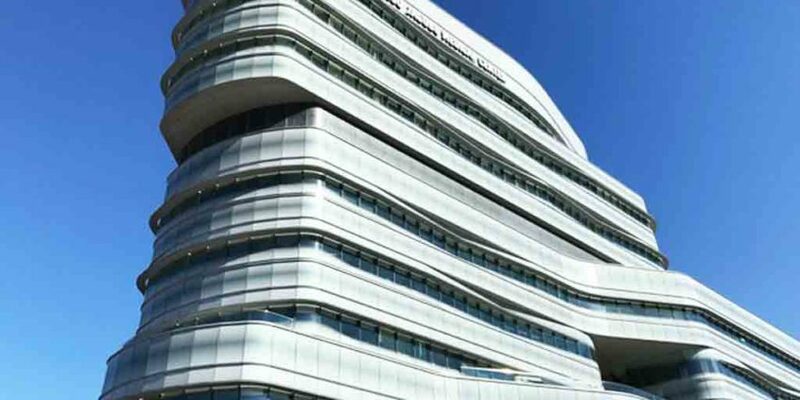 The procurement of subcontractors was limited to companies that had worked on large hospitals and thus formed a highly capable and experienced project team.